CallLogs Backup and Restore Application help you to backup your CallLogs! You can easily get your all CallLogs back in case you lose your phone or change the handset. Why just backup your CallLogs to SD Card? Using this app you can backup your CallLogs through emails. 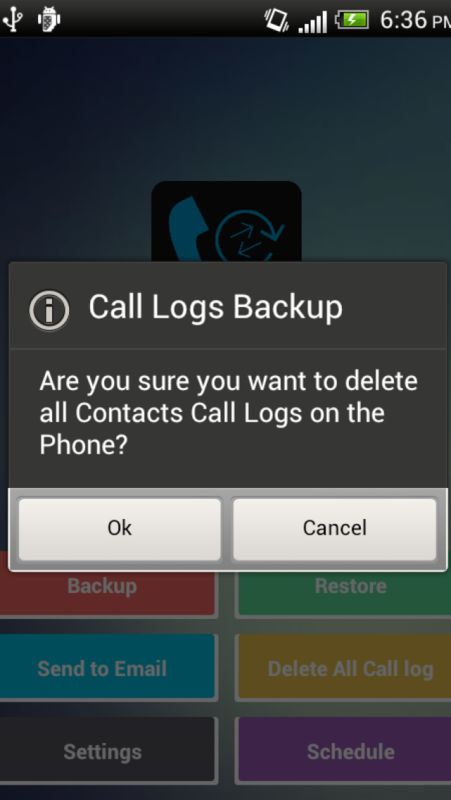 This app provides very good functionality to backup and restore your CallLogs. - Simple and clean application design is easy to use for any age. - App UI is based on the latest Android Design and it supports almost all types of devices and resolutions. - This app retrieves all CallLogs stored on your Android device and saves it in a single xml file. 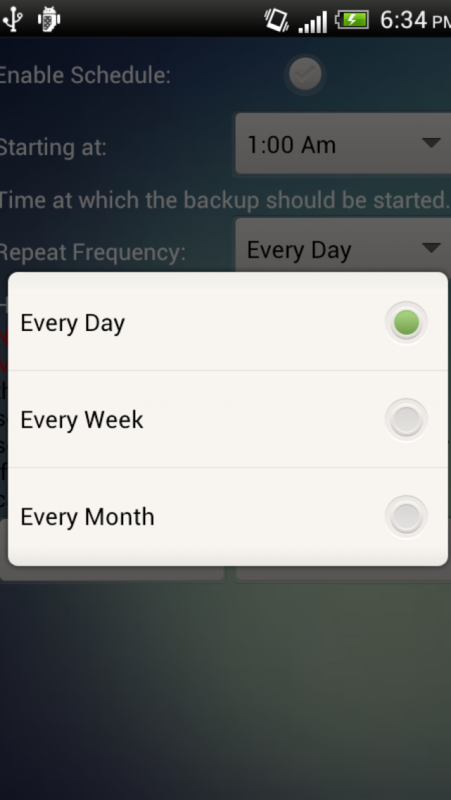 - Automatic Scheduled Backups. HOW TO CREATE BACKUP? It’s a very simple procedure just tap on backup button from your screen and let the application do rest to backup your CallLogs. After all CallLogs backup successfully we will always remind you to keep your files at safe place like mail, cloud, your computer via Bluetooth or you can use any other file sharing tool and make your file safe. HOW TO RESTORE? To Restore, It does also require a single tap from your side. From application main screen tap “Restore” button once. It will prompt you to pick a backup file from our default directory. Just select your desired file of backup and it will add those CallLogs in your CallLogs Log. Note: It’s highly recommended to take back-up regularly and restore it from last previous backup file to get all the latest added CallLogs restored once again. DELETE CallLogs? Have you messed up while restoring your CallLogs using some other application or want to delete all the CallLogs from the Phone, and then just tap the DELETE button. It will help you to clear your phone book. BE VERY CAREFUL WHILE USING THIS DELETE FEATURE. WANT TO SHARE? Want to share this wonderful app with your friends? 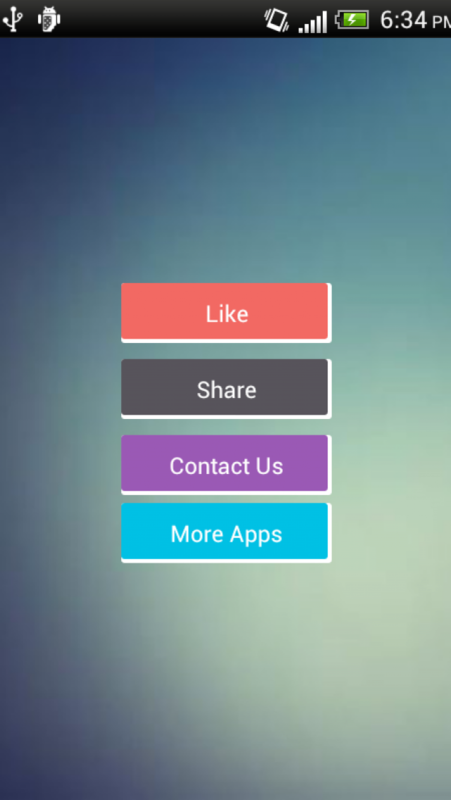 Do it using SHARE option from the app itself. Isn’t it great app? So what are you waiting for? If you really don’t want to miss your important CallLogs from your phone it is a good idea to take a backup regularly using this app!! !